Small specimen pieces of Unakite, available in two packet sizes. 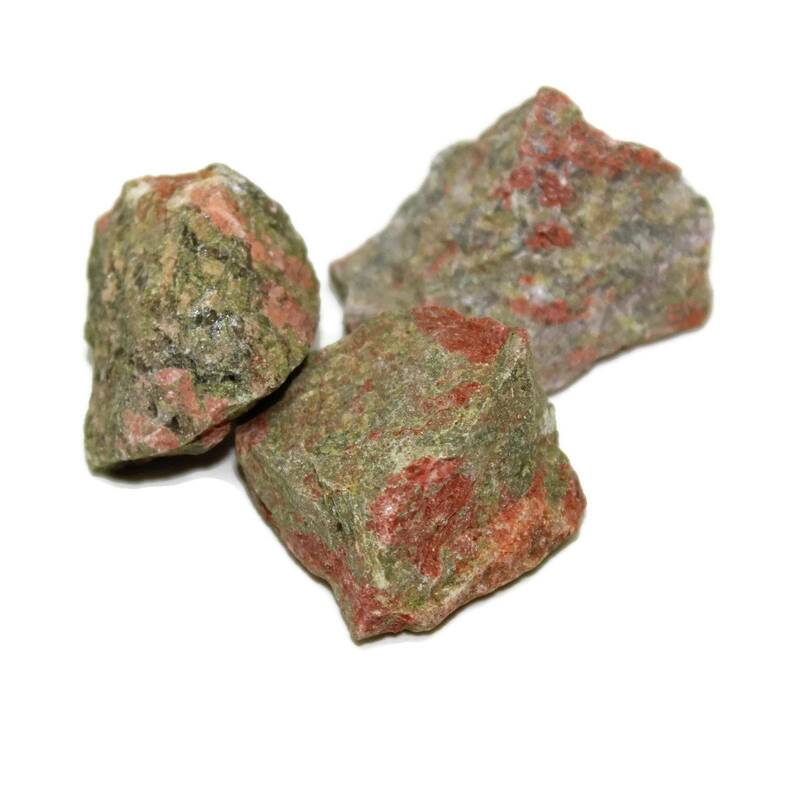 Rough Unakite specimens, sold for mineral collectors. We sell these in two packet sizes, a single stone and a larger 1KG packet for lapidary or collectors. These pieces are a good mix of pinks and greens, but honestly.. I think they’d look a little better polished. When displaying these pieces for your collection, it might be an idea to consider displaying a polished piece alongside the rough to show off the colours better. Your choice, of course! Most of the pieces typically measure 30-40MM approximately. 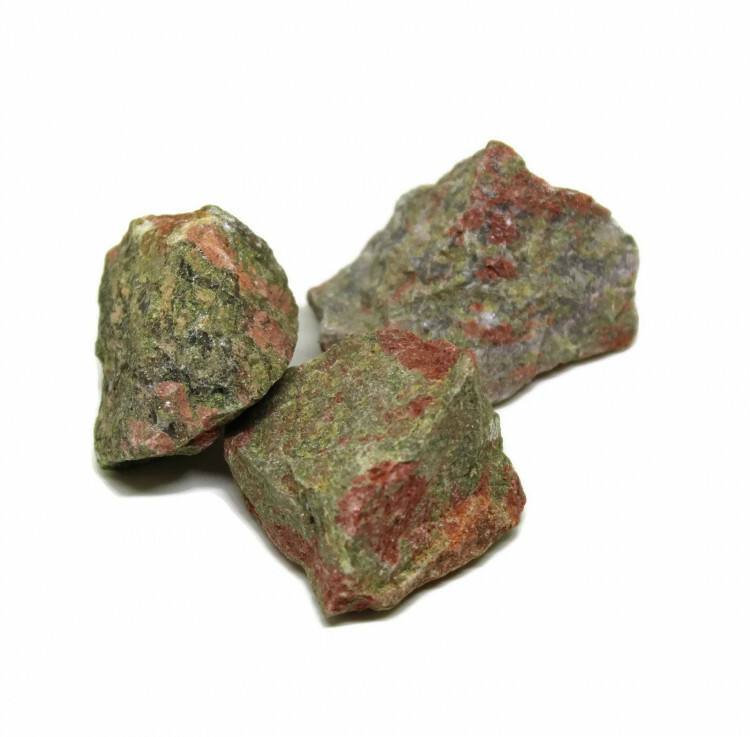 For more information about Unakite, and a full list of all of our related products, have a look at our ‘Unakite’ page.